Does your lawn look famished after winter? Heavy foot traffic has led to compacted soil and bent clumps of grass all around your property. Likewise, the grass doesn’t look as lush and green as you’d hoped. Thankfully, you can improve your lawn if you know what to do. 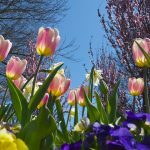 Here are 5 tips to revive your lawn for spring. Reviving your lawn starts below the grass. 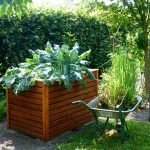 Improving the soil is essential to grass health and will go a long way to prepare your garden for spring. Failure to do so would mean that your fertilizer products won’t reach their full efficacy. 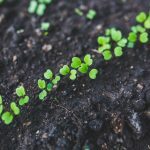 If you didn’t adjust the soil pH in late winter, the arrival of spring is the next best time to perfect your garden soil — doing this in summer would require too much irrigation to keep the grass hydrated. Ideally, your lawn should have about six inches of loose and fertile topsoil. A soil pH of 7.0 is also great for nearly all grass varieties. One way to know how to improve the soil and adjust the pH is to have a soil test. While you can buy a soil test kit on your own, we recommend sending a soil sample to a local extension service. 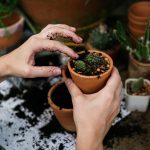 You’ll receive a comprehensive analysis of your soil along with suggestions on how to make it fertile and better suited for the lawn grass. Bare patches aren’t uncommon after winter. Voles might have dug tunnels and damaged the grass as they stayed in your lawn. Likewise, the snow mold disease might have affected large patches and killed the crown and root systems. Simply not taking care of the lawn back in winter could lead to empty patches. In any case, it’s time to reseed them. 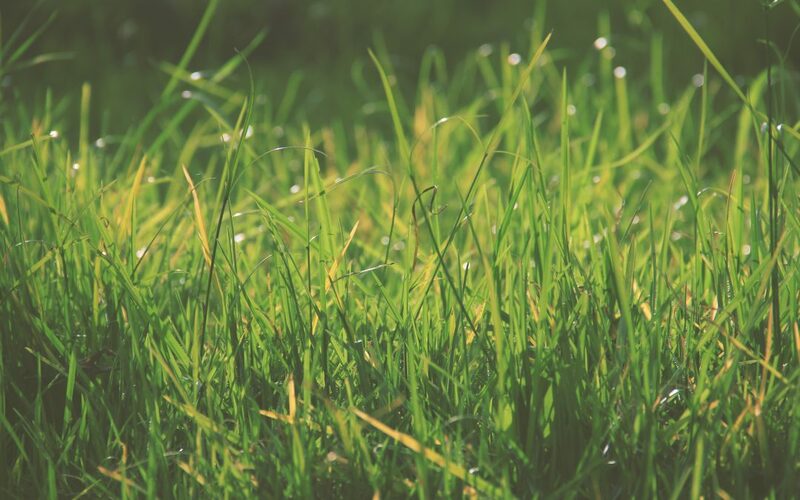 Reseeding is a quick and effective way to get the healthy grass back on your lawn. Use a grass variety that will thrive on the type of soil you have. Before you sow the seeds, get a rake to remove any lawn debris and to keep the ground leveled. You can use a spreader to plant the seeds with ease. Furthermore, use a sod roller to improve the contact between the seeds and the soil. Here is a video of reseeding a lawn. Some homeowners make the mistake of irrigating at night. They believe that the warm spring temperature means water gets evaporated before it reaches the ground. Likewise, there are people who do it due to time constraints. While less water gets lost due to evaporation, nighttime watering also means that moisture stays far longer than necessary. Water that stays on the grass blades will expose them to lawn diseases. 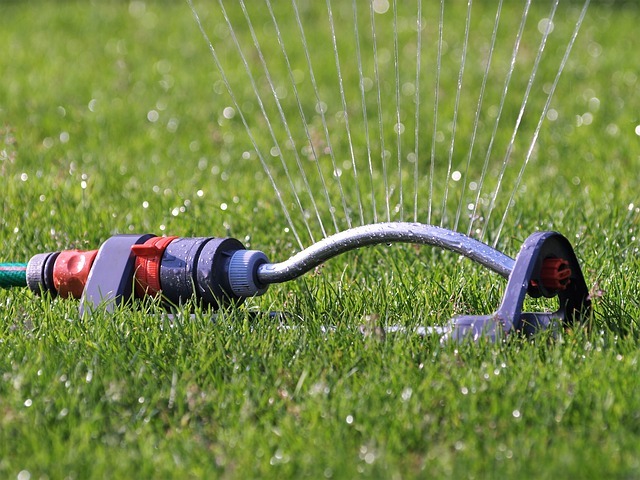 Instead, you should irrigate your spring lawn in the morning. The air is relatively cool and the water won’t quickly evaporate. If you’re done sowing seeds in your lawn, you must water the area again at noon. Seeds need constant moisture for germination. Once summer arrives, you should stop irrigating twice a day. As previously mentioned, the rate of foot traffic is high during winter due to all of the snowfall. This leads to a heavily compacted soil, which has a reduced capacity to absorb and retain water. In turn, the root systems of the lawn grass won’t get enough water to sustain the overall grass health. Thus, knowing how to revive a lawn means fixing soil compaction. The proven solution to this is to aerate the soil. This isn’t typically done in spring, but severe compaction shouldn’t be ignored. While there are petrol-powered lawn aerators you can rent or buy at your local home improvement store, you can also get aerator shoes. This footwear basically has spikes underneath that poke the soil as you walk around your lawn. Otherwise, you can get a manual lawn aerator as well. Any lawn debris should be removed using a rake or a lawn sweeper. Too much of this prevents enough sunlight from reaching your lawn grass. Moreover, a thick layer of thatch develops if you don’t get rid of all the dead grass on the ground. Thatch isn’t necessarily harmful, but too much of it stops moisture from being absorbed into the soil. Remove excess thatch using a rake or a motorized dethatcher. In early spring, do not mow your lawn immediately. Grass that is merely surviving after winter needs enough time to establish its root systems once again. You might not like the appearance, but it’s important to either refrain from mowing or use the highest cutting height. Furthermore, apply a slow-release nitrogen fertilizer after mowing the lawn. In conclusion, reviving your lawn during spring is all about taking care of both the soil and the grass. Adjusting the soil pH, watering enough, reseeding bare patches, aerating the severely compacted soil, and practicing lawn maintenance are all important in helping the grass recover. We hope our guide helped you out. If you have any questions, do send us a comment.